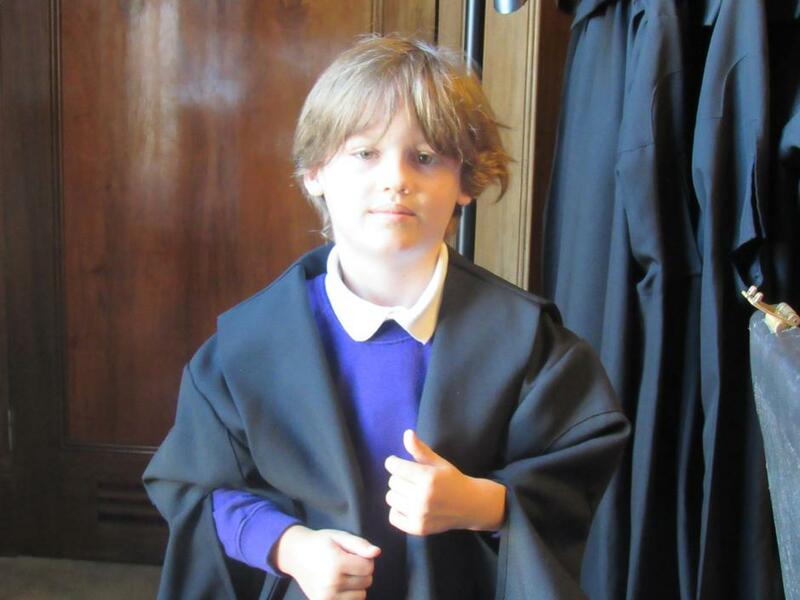 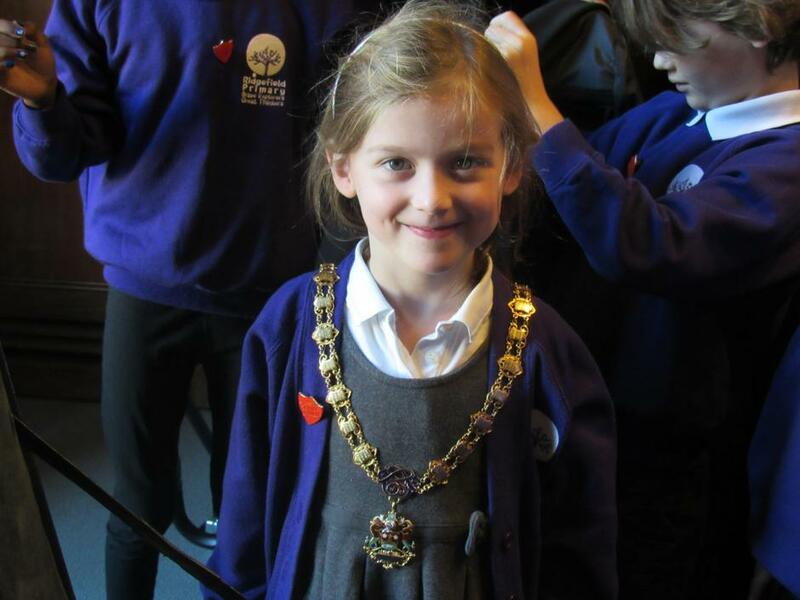 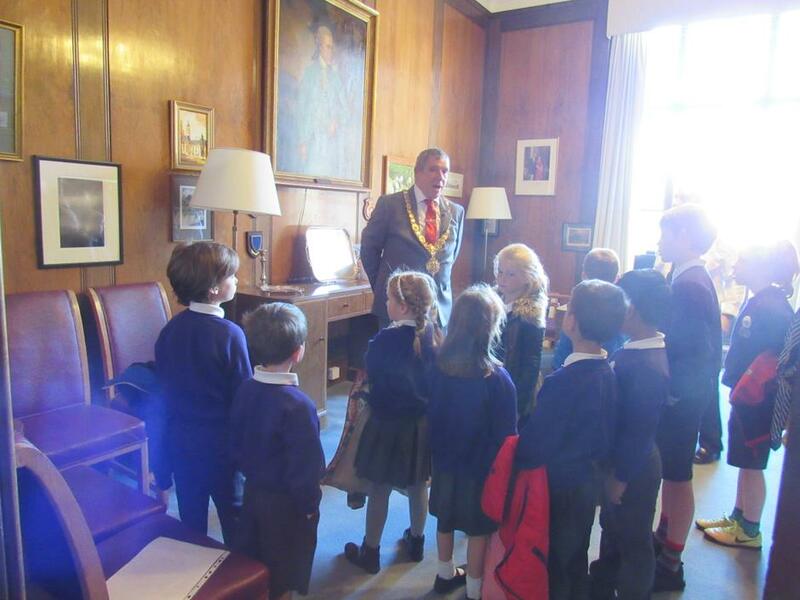 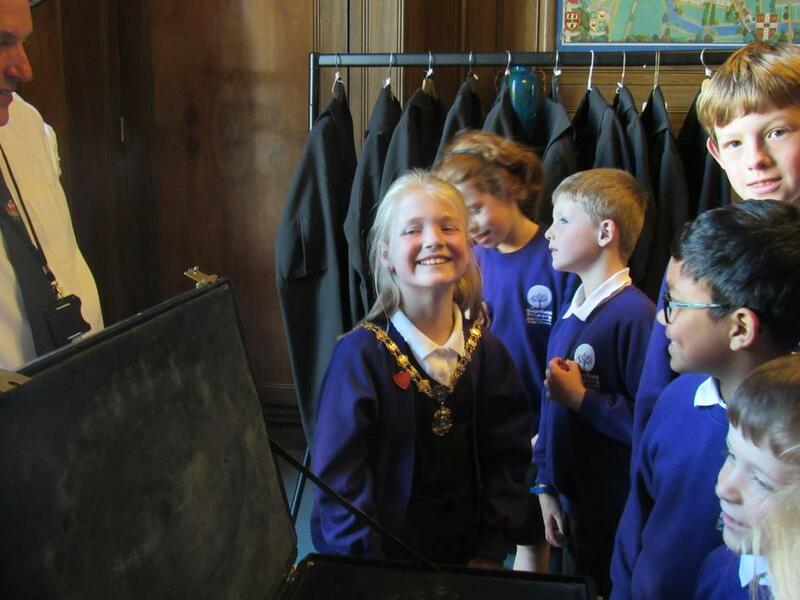 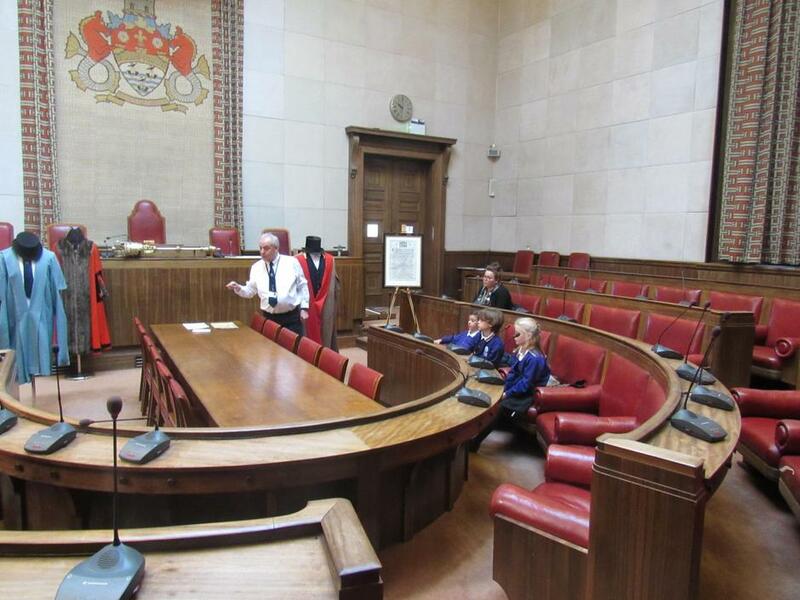 Our newly elected School Council spent an interesting morning visiting the Guildhall where they met the Mayor of Cambridge and the Sergeant-at-Mace. 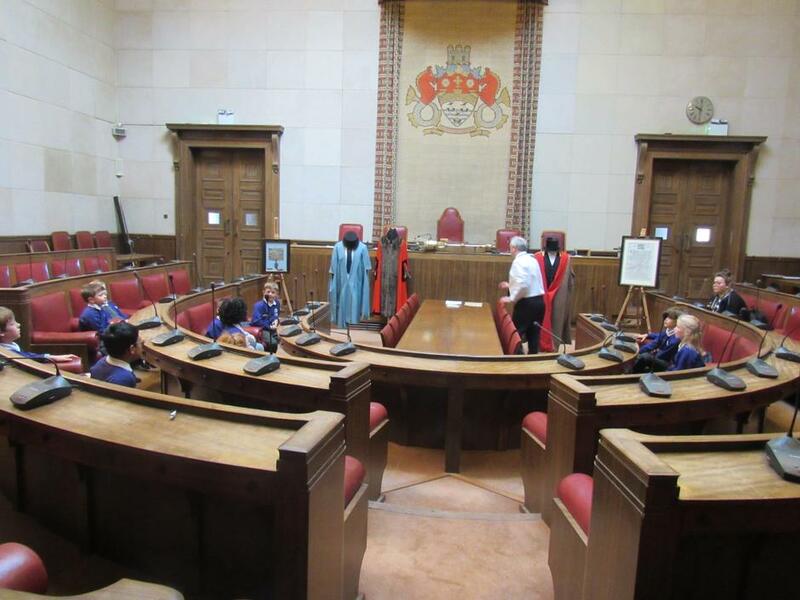 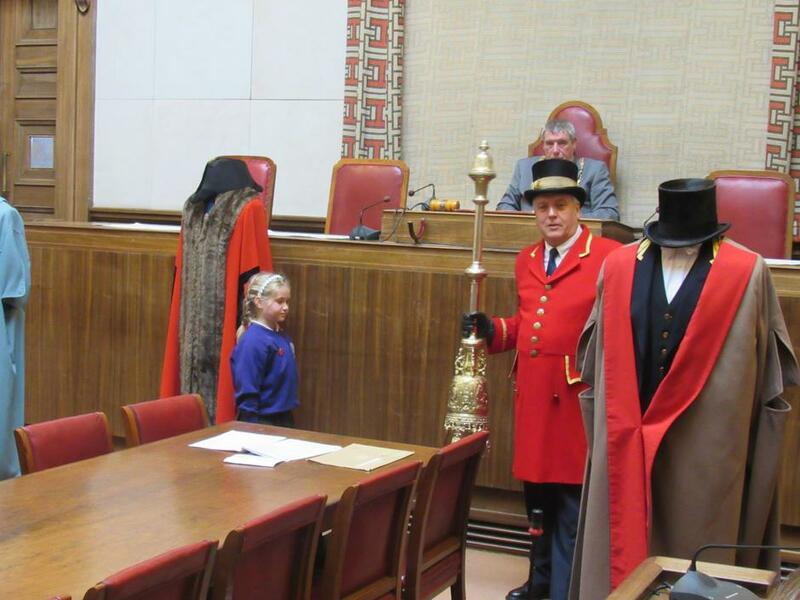 They spent time in the council chamber where they found out all about the history of the council, how the council is run and what it is like to be the mayor. 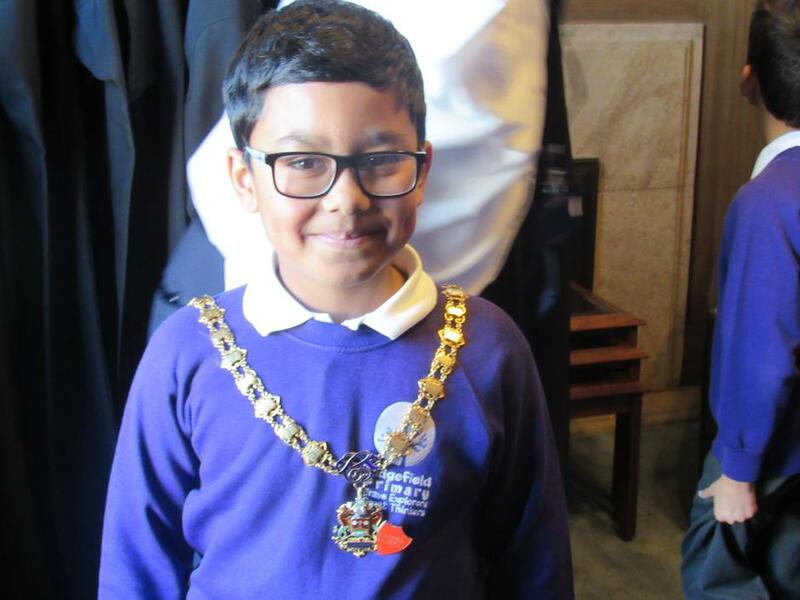 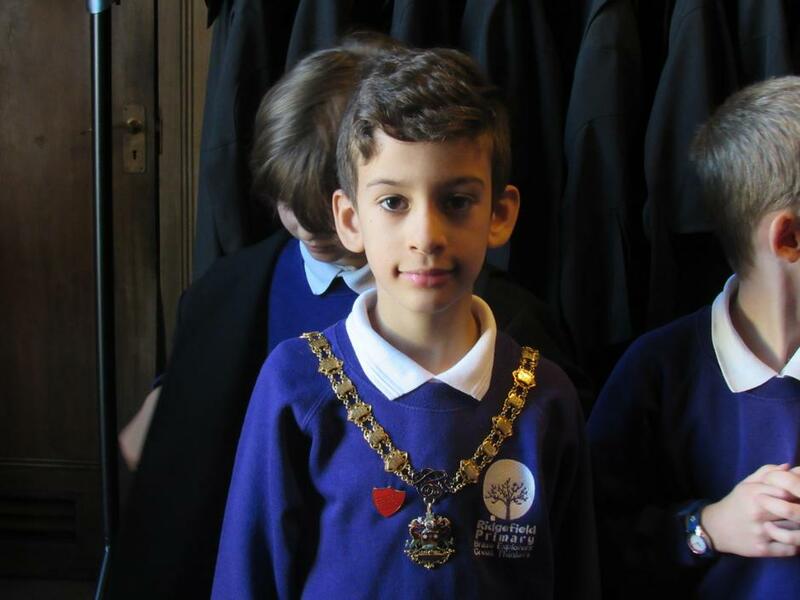 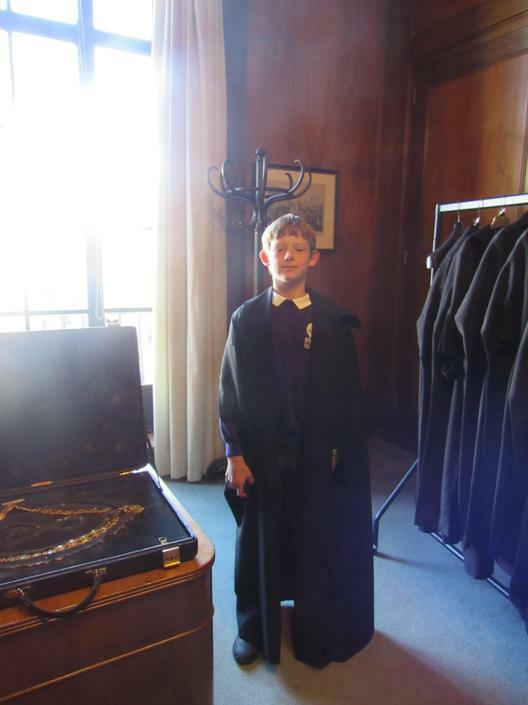 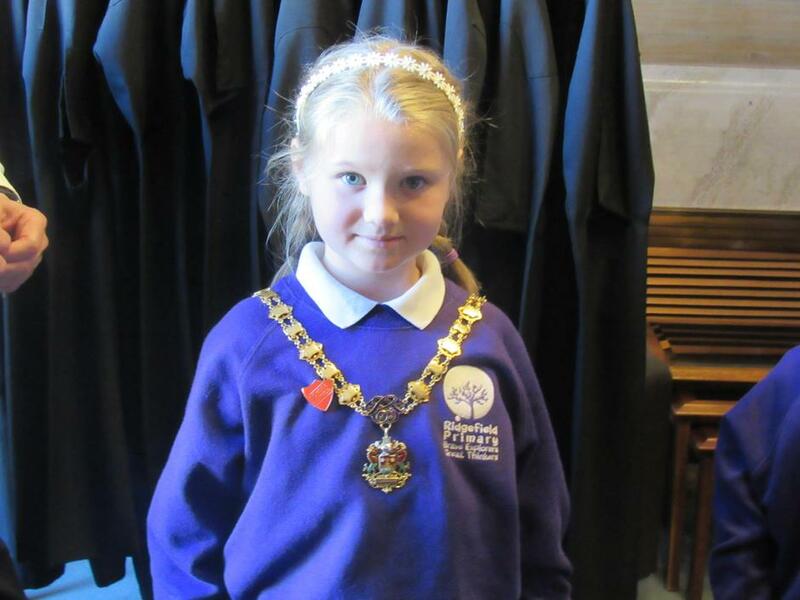 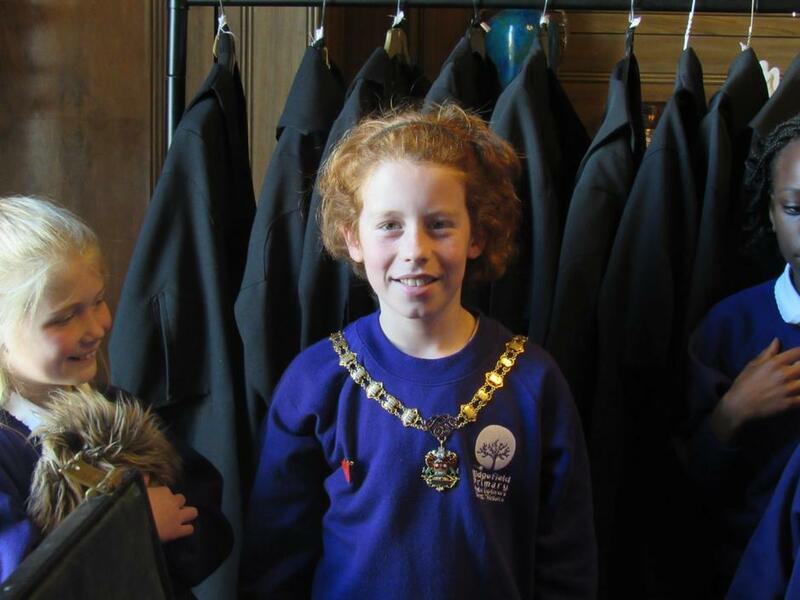 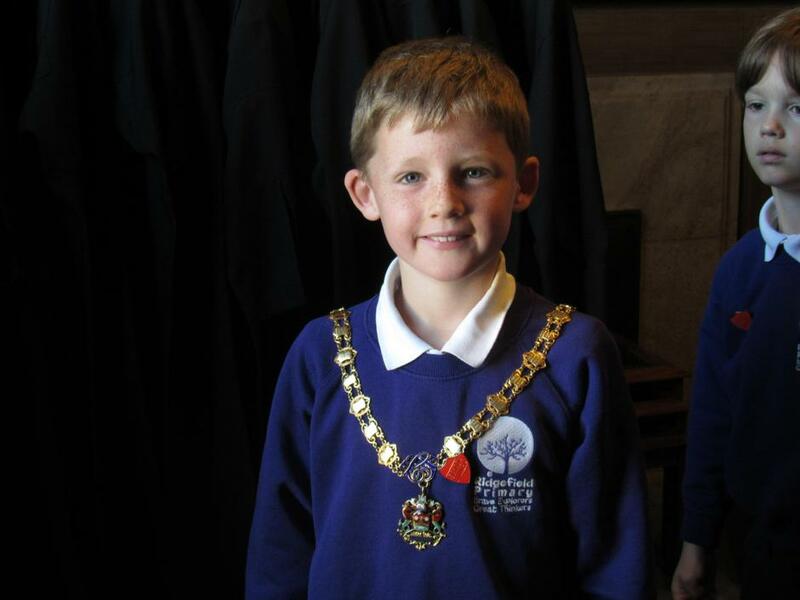 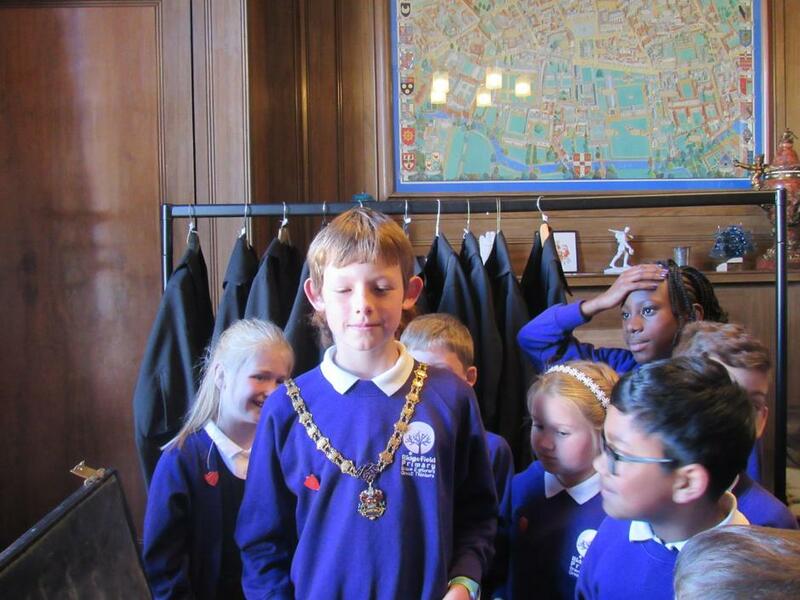 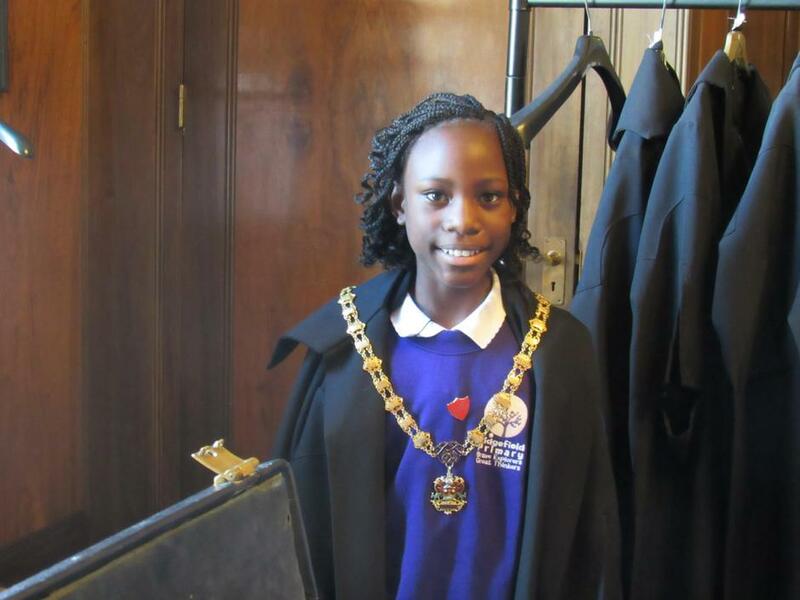 Before they left they had the opportunity to visit the mayor's parlour and try on a gown and one of his chains of office.